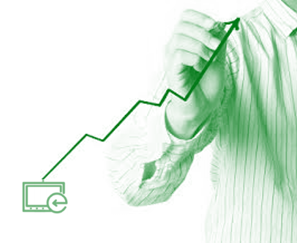 XML is growing in importance in the industrial automation world from embedded systems to human machine interfaces, to distributed systems and database management. It has become the de facto standard for data communication between different applications, systems and throughout the Internet. XML is a huge opportunity for cost savings, interoperability and new opportunities. 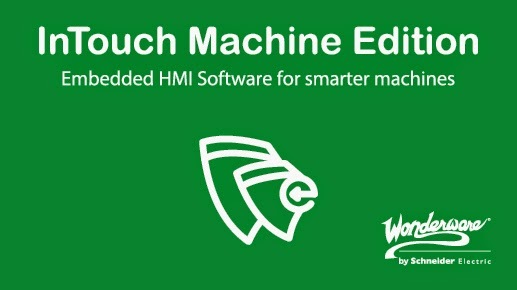 InTouch Machine Edition (ITME) brings XML support to the plant floor, allowing for dynamic, autonomous, and automated data exchange between applications (such as ITME to or from the Wonderware System Platform) . 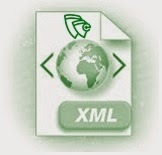 XML makes E-automation a reality by allowing plant-floor dynamic data in XML format to be accessed easily and incorporated in other software products and Web applications. This post covers the reasons for using XML as well as differences between XML and HTML in the industrial automation context. 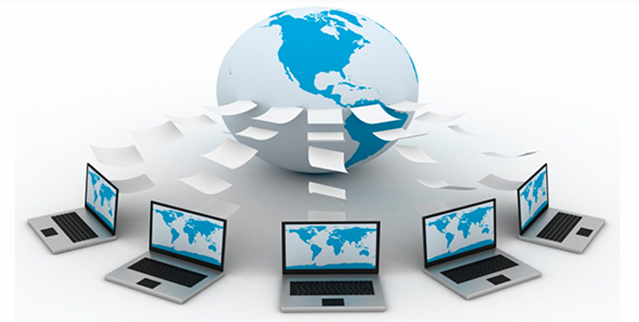 InTouch® Machine Edition offers three different thin client options for web publishing. Use this image to help you choose which option is best for your application. 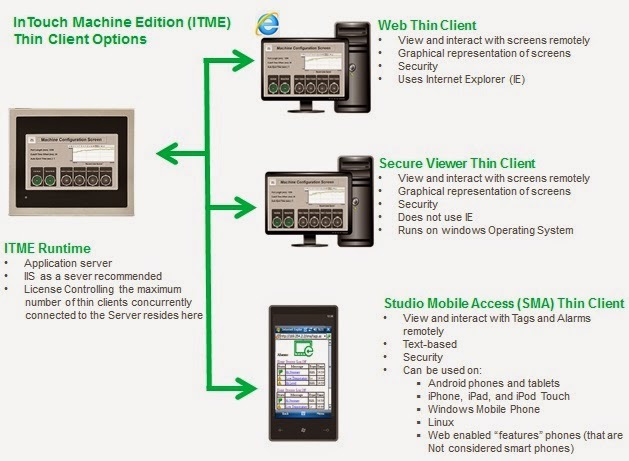 The Web Thin Client, the Secure Viewer Thin Client, and Studio Mobile Access (SMA) Thin Client are all easy ways to make your machine level software application portable and visible where and when you need it most. Click on the image to take a closer look! The InTouch Machine Edition (ITME) has built-in functionality to create 21 CFR part 11 compliant projects with traceability and e-signatures. These features are often used for pharmaceutical and food applications, but can be used for any application where traceability is a requirement. This video explains how the Element Styles feature in InTouch 2014 help users develop, apply and enforce graphical standards to achieve consistency in their HMI design. Do you have any of these problems with your machines? Need machine information to be more accessible to operations? Need to give plant floor operators better tools to run the machines? 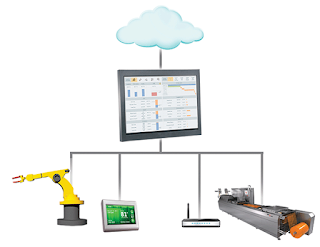 Need to shorten troubleshoot problems, & optimize how each machine is running? 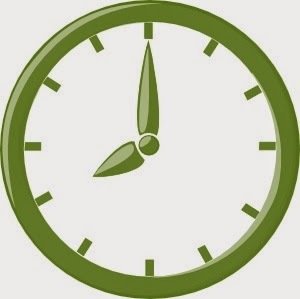 A series of 30 minute online seminars focused on the features and capabilities InTouch Machine Edition are now available. Included in this training: product positioning, advantages and features, and an overview of the integration with Wonderware System Platform.